The four-year agreement struck between swimming's worldwide governing body and the Hangzhou-based company will see Nongfu Spring act as partner of the next two editions of the FINA World Championships. It includes this year's event in Gwangju and the 2021 edition in Fukuoka in Japan. The sponsorship deal also applies to the FINA World Short Course Swimming Championships in 2020 and 2022, as well as the Diving World Series and Swimming World Cup competitions from this year through to 2022. It does not feature the new Champions Swim Series, however. 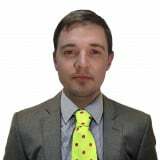 The series of events, viewed by many as a direct response from FINA to criticism from athletes who were allegedly barred from taking part in new International Swimming League events, includes a stop in China. Guangzhou is due to host the opening Champions Swim Series leg from April 27 to 28. 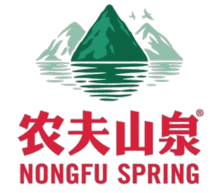 FINA claim Nongfu Spring is a "well-known and respected for the natural and healthy products it commercialises and for its commitment towards sustainability and protection of natural water sources in China". NongFu Spring is also China's leading mineral water brand by market share. "FINA is extremely honoured and pleased to partner with China’s leading water supplier for FINA’s signature events," said FINA President Julio Maglione.